This entry was posted on February 9, 2010 at 8:45 PM	and is filed under Side Dishes, Vegetarian. 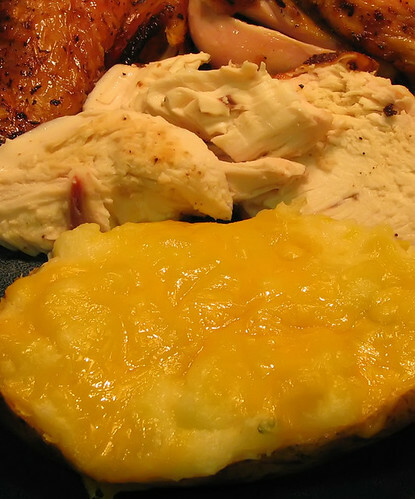 Tagged: cheese, cooking, food, garlic, potatoes, texas select seasonings, tss, twice baked potato. You can follow any responses to this entry through the RSS 2.0 feed. You can leave a response, or trackback from your own site. I used to buy the shells and pipe in the filling. Just a little Chef thing! 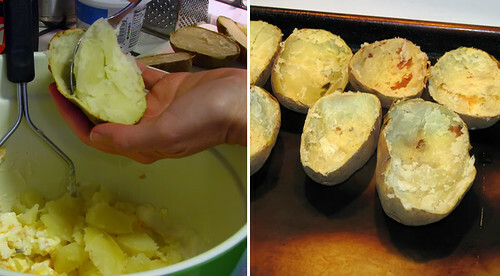 These potatoes look absolutely heavenly! 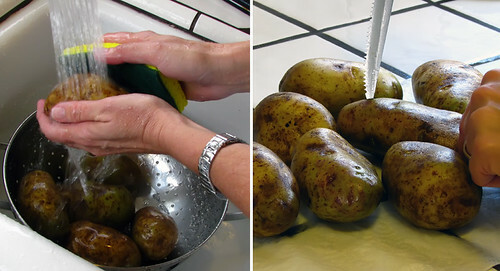 Ok these potatoes are my cup of tea. There is something explosive about the potato garlic combo or maybe it is just me. I am seriously hungry now, especially since I barely ate anything yesterday. I agree about the garlic-tater combo, Viviane. 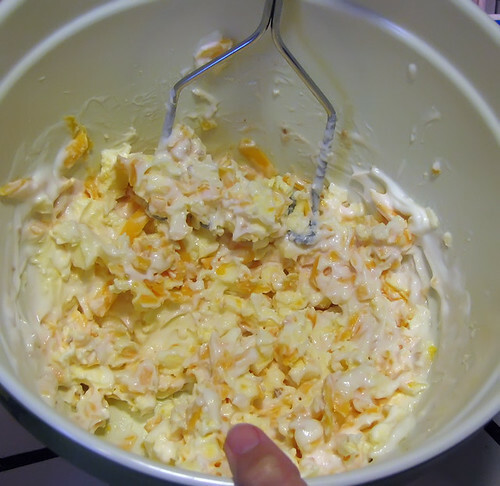 Throw in the cheese and the sour cream, and you have a party going on in your mouth! 😉 I challenge you to try and not eat any of the mixture while you are making these … truly impossible! Mmmm….looks very delicious. Love the way how you do it. Thanks for showing. I’m foaming at the mouth! These look beyond superb! Can’t wait to see what else you do with them. “I have to call something in this dish “meat” … I’m a Caveman.” Ha! That is just too funny! These look soooo good but I am almost afraid to try them for fear my cholesterol will go tilt, LOL! But I think I am going to have to chance it…. Yumm,yumm, as always, thanks for the recipe, Mark! My neighbor was mentioning these the other day with longing in her voice! This looks good…but wow…what a lot of work..was it worth it? 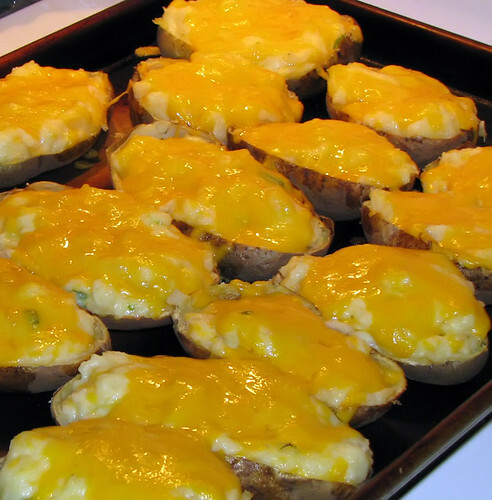 I love twice baked potatoes and these look fab!!! Who wouldn’t love these! I’m a potato fanatic. These look delish! I just stumbled across your blog over at Lea Ann’s blog and I’m glad I did. Great stuff here, I’ve dropped you into my reader to keep up. 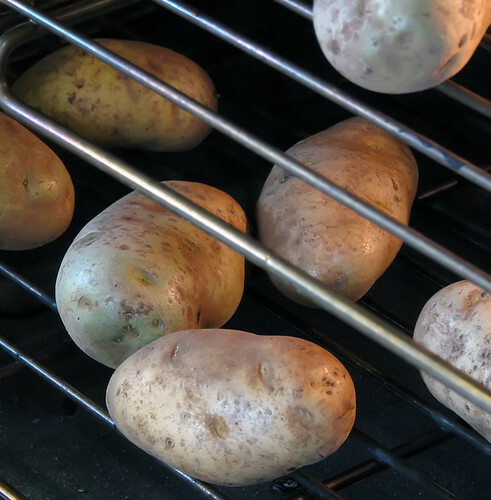 I love twice baked taters, especially when done on the grill. LMAO over the “angioplasty special” comment. Thank you, Chris! I’ll be checking your digs out shortly. Thanks for sending these to my showdown! My pleasure, Reeni. Love your idea! 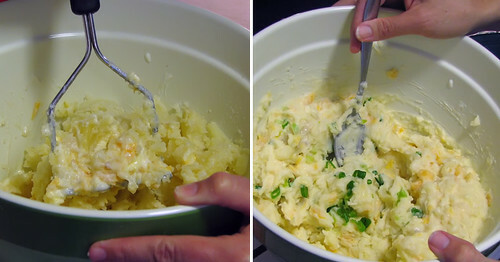 Comfort snowy me with cheesey potatoes… thinking I could have them with my eggs for breakfast. Thanks, Claudia! Funny you should mention the breakfast comment … watch for the next post coming later today. No prob, April! Why not recreate some of those memories for yourself? I’m pretty sure you can never go wrong with this much cheese in one recipe. I am drooling as we speak.